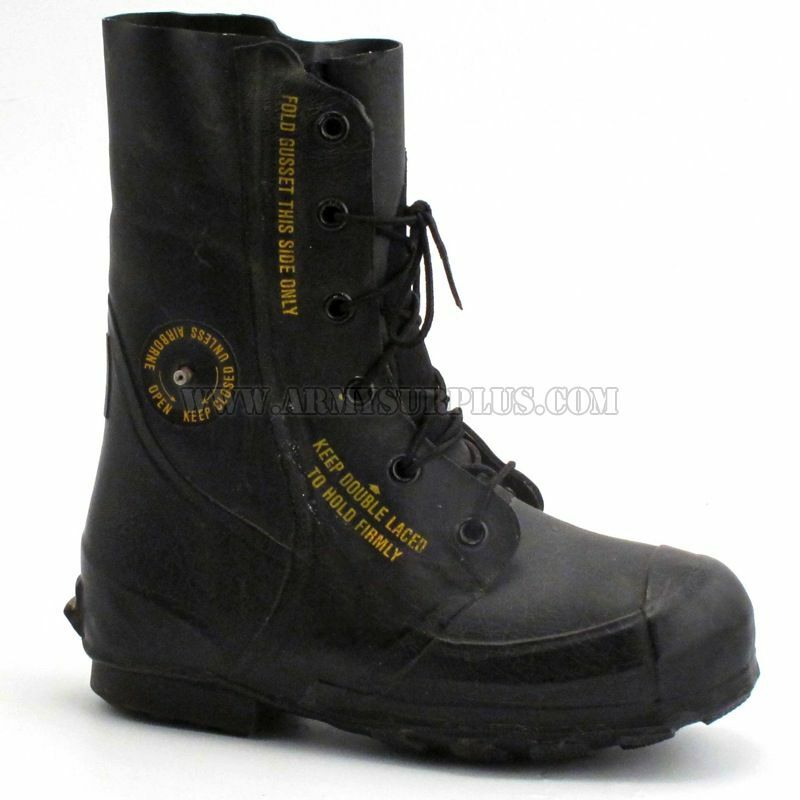 Officially named the Extreme Cold Vapor Barrier Boots (Type II) as used by the United States armed forces. The "Bunny Boot" gets its nickname from the Snow Shoe Rabbit who's fur would change from brown to white for the winter months. These liner-less boots retain warmth by sandwiching up to one inch of wool and felt insulation between two layers of rubber and are typically worn with one heavy wool sock. Extreme Cold Vapor Barrier Boots are made in two types. Type I are black pairs, commonly referred to as Mickey Mouse boots, are rated for temperatures down to -20F [-7C]. Their outer layer is made with oil/diesel resistant rubber to keep oil or diesel from eating the boot. Type II are the white version designed for use in extreme cold weather from -20F [-7C] and colder. They are also is a little bigger and heavier than their black counterparts due to the extra insulation. Both the Mickey Mouse and Bunny Boots have an air valve on each of the boots. 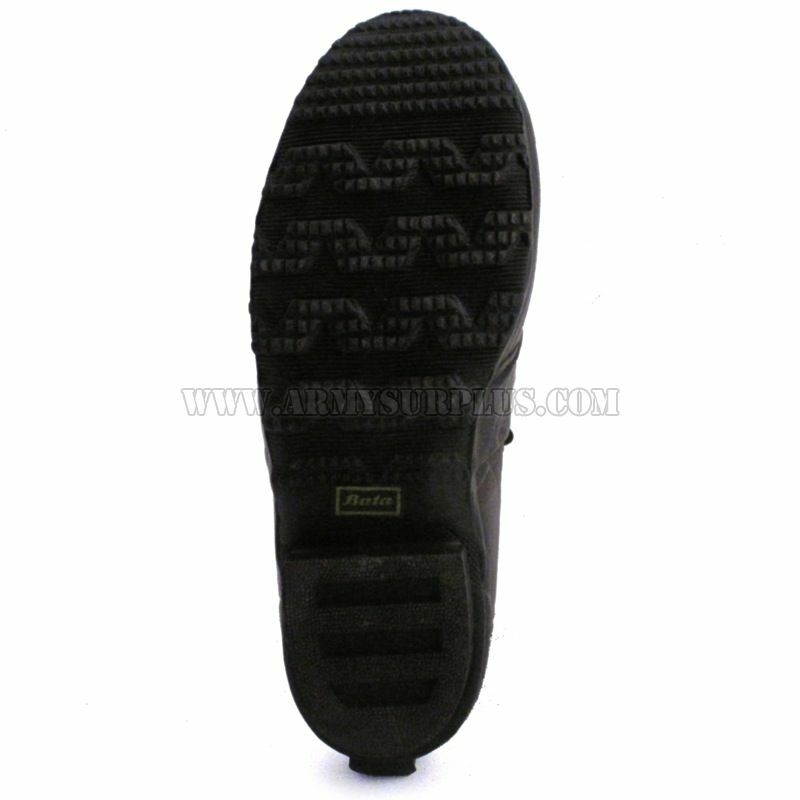 These air valves must be opened only prior to flying, to ensure that the air pressure differential between the walls of the boot and the outside air does not cause the boots to rupture.